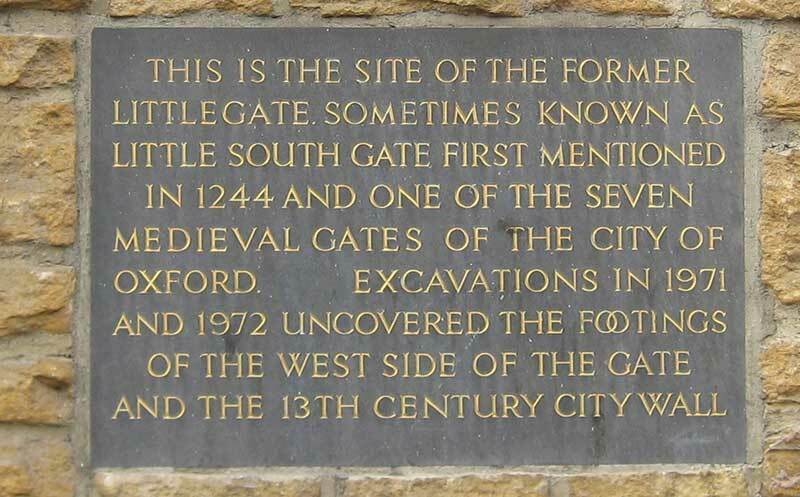 The Little Gate (or Little South Gate) was at the exact point where St Ebbe’s Street meets Littlegate Street, and explains why what is now a continuous road suddenly has a change of name here. It was earlier known as Water Gate, and had a small arched gateway for pedestrians and a larger one for carts. The pedestrian arch survived until 1798. This engraving by Skelton shows the ruins of the old gate. The south wall then reappears on the other side of the road behind Nos. 8–10 Turn again Lane. Formerly Charles Street, this road returned to its old name in 1972. 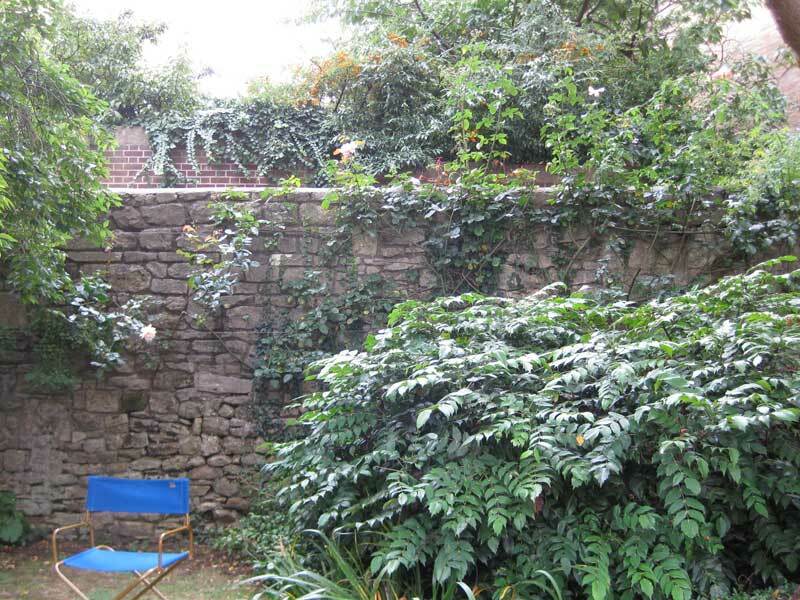 This piece of wall is on private property and cannot be viewed. 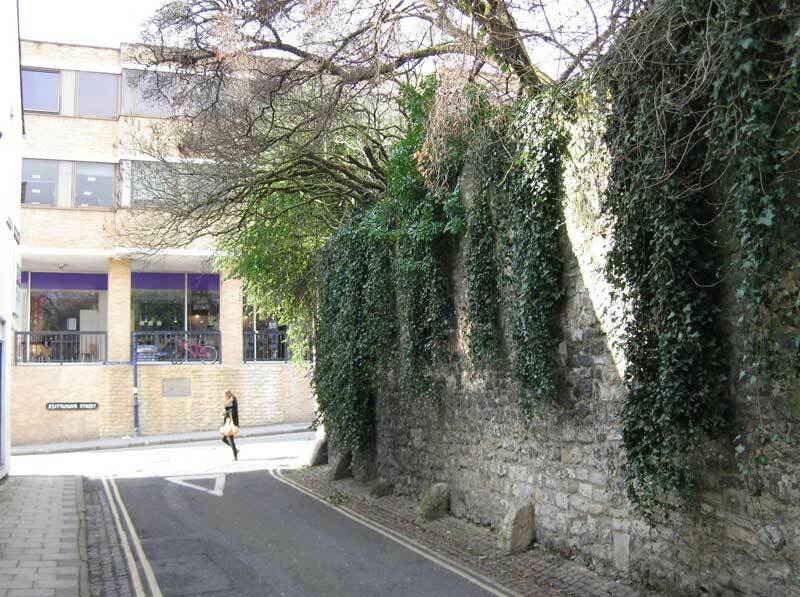 The wall then moves in a north-westerly direction until it reaches the junction of Castle Street, Paradise Street, and Norfolk Street, which was the site of the old West Gate.